Working with people to help them discover fresh perspectives and empowerment around intimacy and relationships is an absolute honour. I love witnessing the impact the sessions have on the people who come to see me and how clients can move from being at the end of their tether to (re)discovering their joy. As many of you know, I have been training hard in tantra, sexological bodywork and consent for three years now and have been gaining skills, experience and developing my practice so I can reach more people with a wider range of needs. To be honest though, it's tough sometimes as so few people know that this work exists and even though I am a member of the professional body ASIS and am fully insured, have ongoing professional supervision, personal therapy, continuing professional development which I pay for myself and I quit my job to do this work, there is still so much stigma and shame around sexuality and pleasure, so people are afraid to reach out for support. Despite personal set backs and health concerns along the way, I have been building my practice steadily and although this approach is fairly new, more people are finding their way to this unique support. This work is so needed and it has outgrown my lovely but tiny flat. So for the sake of clients comfort and the reputation of the work it's become even more important to work from a place that offers a more professional and inviting space. And I'm really excited to have found somewhere that is absolutely perfect! There are many benefits this new place offers which include vastly improved eco energy efficiency, improved safety and security for me, better public transport links, secure parking, improved anonymity/confidentiality for clients, more space for consultation and much more comfortable bathroom facilities. And for the first time I will have a venue that is accessible to clients who are less mobile or are living with a disability. And I wont have to sleep in my living room anymore! Chapeltown Leeds has been good to me and now it's time to move to an area where clients will feel more comfortable meeting me. I found this place in Pudsey much quicker than I expected, and the landlord has offered me half price rent for the first month so I can get established there. Even so, with the cost of the deposit, moving, upgrading my equipment, installing blinds and grab rails it is an expensive move. And I've not got long to raise the deposit. It would make a huge difference to me and to my clients to work from a space that is modern, clean and inviting. And so while this is tricky for me to ask, I am asking you for donations towards the set up costs for this lovely space. Most people who seek help with challenges in the bedroom, in intimacy and in relating, experience a lot of shame, guilt and embarrassment before they even reach out for help. 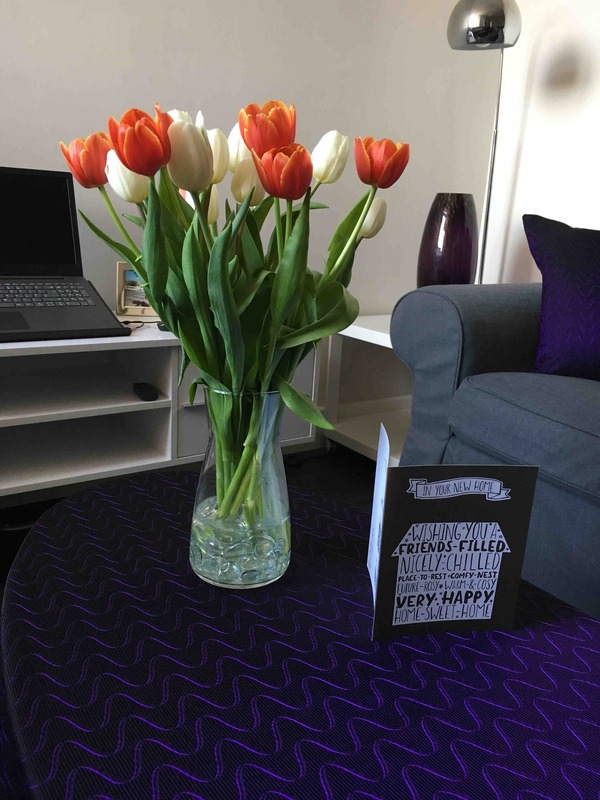 The support you offer me now, will help me, with this new place to create a more professional, relaxing and welcoming environment where clients can find their way to safety, relaxation, learning and (re)claiming their joy. And in so doing enrich their own lives and the lives of those around them. And like a pebble creates ripples in a pond, this work can change the world; one body, one heart, one soul at a time. Thank you for all of your contributions so far - watch the video to find out why I’ve dropped the targets and to celebrate hitting the halfway mark! Whoop whoop! End of Day 3 in the new apartment. I’ve hardly slept trying to get this place ready so I can get back to work, doing what I do best! Thanks to everyone that’s sent good wishes and contributions!